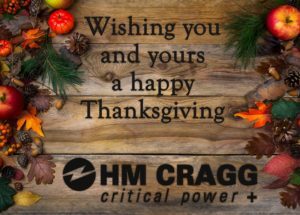 Happy Thanksgiving from HM Cragg! We at HM Cragg would like to wish you and your families a warm and joy-filled Thanksgiving! Also, we want to give thanks to you, with sincerest appreciation of our continued partnership. Please note that in observation of the holiday, our offices will be closed November 22 and 23. We will resume normal business hours on Monday, November 26. As concerns about cybersecurity increase, Eaton has developed a new network card that received UL cybersecurity certification. The Gigabit Network Card (Network-M2) is the first and only network-connected power management product on the market to receive the UL 2900-2-2 cybersecurity certification. With better speed and cybersecurity, the Gigabit Network Card improves business continuity by providing warnings of pending issues to administrators and helping to perform orderly shutdown of servers and storage. The network card is compatible with several Eaton UPSs, including the 5P, 5PX, 5SC Rack 9PX and 9SX and is in stock now for ordering. 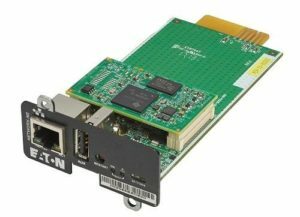 Click here for Eaton’s brochure on the Gigabit Network Card. Eaton’s brand new 9SX UPS, is now available from HM Cragg. The 9SX, a refresh to the 9130 tower UPS, is an online, double-conversion UPS available in power rating 700 VA-3000 VA. The new UPS boasts an easy-to-read LCD display, double conversion topology and an internal static bypass, all in a convenient tower UPS form with a low total cost of ownership. 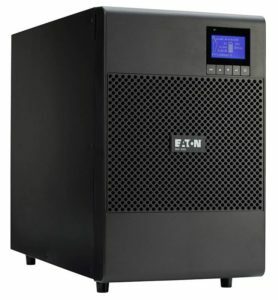 Compatible with Eaton’s network connectivity cards and Intelligent Power Management (IPM) software, this UPS is a vital piece of any physical or virtualized IT environment. Click here to download the 9SX brochure.